Notice is hereby given that the Annual General Meeting of the Chelsea Supporters Trust will be held at 14:00 on Saturday 13 August 2016 in the Attenborough Suite, Copthorne Hotel, Stamford Bridge, Fulham Road, London, SW6 1HS. The draft accounts and annual report can be downloaded here. Following on from the AGM, and after a short break, Dan Levene will once again host our Chelsea-centric quiz, which was keenly contested last time. There are prizes to be won, and a winners trophy for the victors! 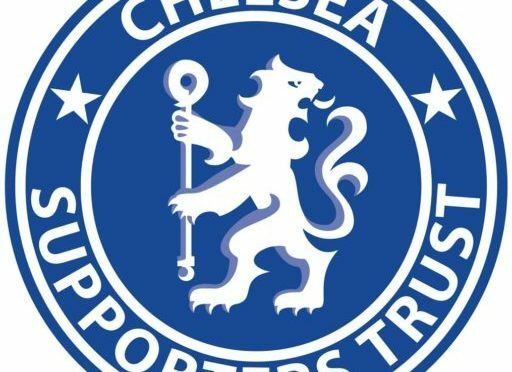 Notice is hereby given that the Annual General Meeting of the Chelsea Supporters Trust will be held at 14:00 on Saturday 13th of August 2016 at the Attenborough Suite, Copthorne Hotel, Stamford Bridge, Fulham Road, London, SW6 1HS. Following the success of last year’s quiz, organised and compered by Dan Levene, a similar event will be held after the AGM (at c16:20), in the Attenborough Suite. No voting will take place at the AGM itself. Instead, voting for both the board elections and motions raised at the AGM will take place in the two weeks following the conclusion of the AGM. The voting will take place online through SurveyMonkey. On the next working day following the AGM (Monday 15th August 2016), members will receive an email containing a unique link to SurveyMonkey where they will be able to vote in favour or against motions raised at the AGM . The Chelsea Supporters Trust accounts for the year ended 31/5/16 are approved. Provided revenue remains below £100,000 p.a., in line with accepted practise the Chelsea Supporters Trust Board should continue to appoint an independent examiner at the end of each financial year, rather than an auditor. Motions 4-16 are submitted to the membership following issues which arose in the 2015/16 season and/or were raised in a review of the results of the June 2016 membership survey. The background to a number of these issues, and details of progress in the past twelve months, will be contained in the 2015/16 Chelsea Supporters Trust Annual Report, to be circulated to voting members in advance of the AGM. The Chelsea Supporters Trust board is mandated to continue to work with the club and other supporters groups looking to improve the atmosphere at Stamford Bridge, as appropriate. The results of the Safe Standing survey carried out amongst Chelsea supporters in 2014 indicated overwhelming support for Safe Standing. The Board is mandated to continue to campaign for standing sections to be introduced as part of the Stamford Bridge redevelopment and at other football stadia, as part of the wider national ‘Safe Standing’ campaign co-ordinated by the Football Supporters Federation. The £30 cap on away Premier League tickets shows what can be done by concerted campaigning, especially in the light of the extra TV money received by Premier League clubs. The Chelsea Supporters Trust board is mandated to pursue the issue of fair ticket pricing and ticket allocation as well as matters including, but not limited to, rearranged fixtures, away fan travel and stewarding/policing, through whichever channels they deem appropriate. These channels include, but are not necessarily limited to, Chelsea FC, the Premier League, the Football Association, relevant television companies, other Supporters Trusts, the Football Supporters Federation and Supporters Direct. The number of Premier League games rearranged to suit the television companies, and the short notice given for such rearrangements, causes both inconvenience and cost to match-going supporters. The Chelsea Supporters Trust board is mandated to work with other supporters trusts and appropriate bodies to push the TV companies and Premier League for more notice to be given for such rearrangements, for published deadlines to be strictly adhered to and, where appropriate for supporters to be compensated for the extra cost. The Safety Advisory Group (SAG) is a statutory council-led committee set up under the Safety of Sports Grounds Act 1975. The Chelsea SAG has representation from the London Borough of Hammersmith and Fulham, Metropolitan Police Service. British Transport Police, London Fire and Emergency Planning Authority, London Ambulance Service, St John’s Ambulance Service, the Sports Ground Safety Authority and the club. It meets twice a year to discuss relevant issues with regard to Chelsea Football Club. The Chelsea FC SAG Terms Of Reference can be downloaded here. After representations to the local council in late 2015, the Chelsea Supporters Trust now have the opportunity to review the SAG agenda, submit items for discussion and review the meeting minutes. The Chelsea Supporters Trust board believe that, though this is progress, there is no valid reason whatsoever why full membership should not be granted and are mandated to push for this.